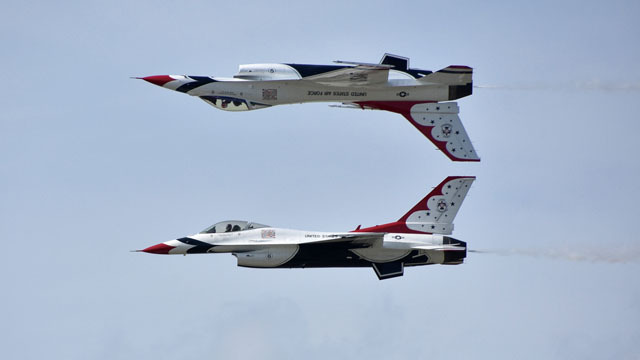 By Skyhawk to Florida – Sun’n Fun – EHFC Members Talking! 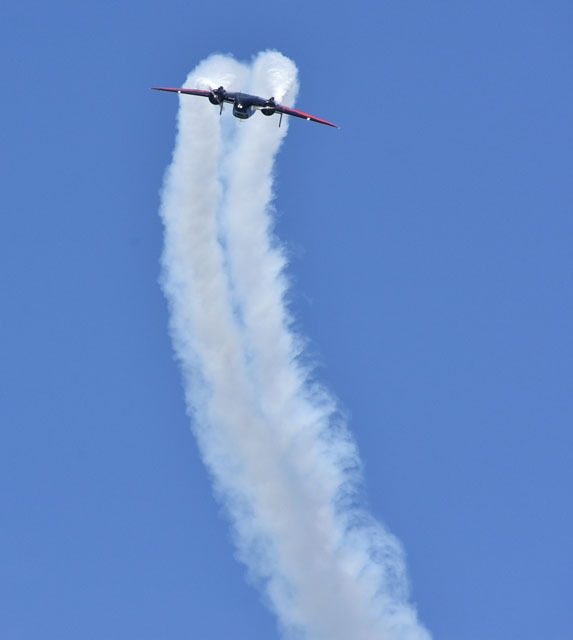 Our week at the Sun’n Fun fly-in is over, and before Jerry and N46493 and I head back tomorrow morning (knock on wood), I thought I’d post a report and some pictures to the blog. In case you weren’t aware, you can click on any of the photographs to get a larger size version. If you haven’t been to Sun’n Fun, it can be really overwhelming at first. 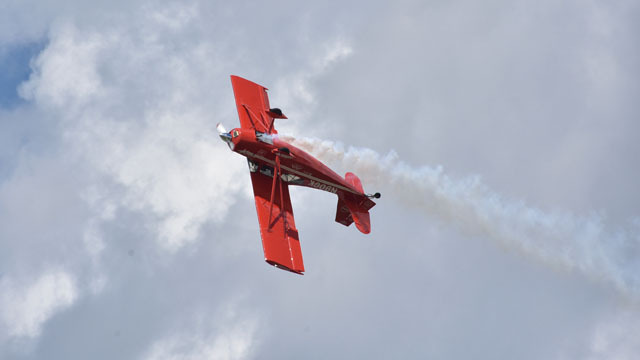 The event covers a huge area – basically the entire south half of Lakeland Linder Airport (KLAL). 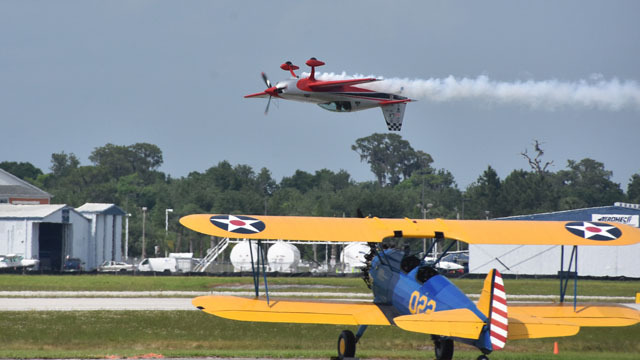 There are permanent buildings, like the Florida Air Museum and Central Florida Academy of Aeronautics, which are used during Sun’n Fun, as well as dozens of large tents and hangars, and small buildings put up by organizations like EAA, the 99’s, and so on. 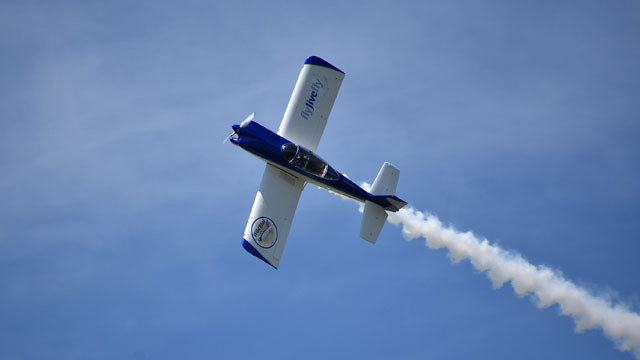 There are forums of all sorts, put on by Sun’n Fun itself, as well as by EAA and AOPA and the FAA. 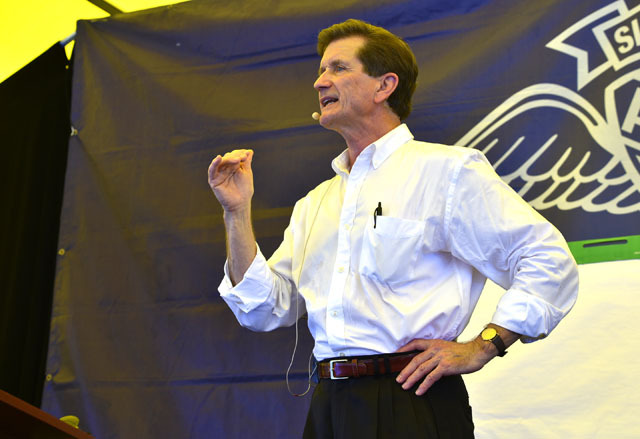 Jerry and I went to several by Ron Machado at the AOPA tent – if you haven’t heard him talk, look up his YouTube videos. They’re very funny, and very useful, full of tips on how to fly and do it safely. 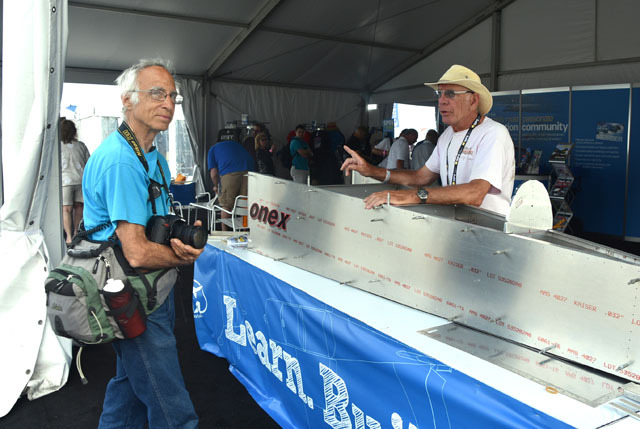 There are hands-on workshops on all sorts of topics from avionics to fabric covering to riveting – in the EAA tent they were building a Onex, and visitors were invited to drive a rivet or two to help the project along. 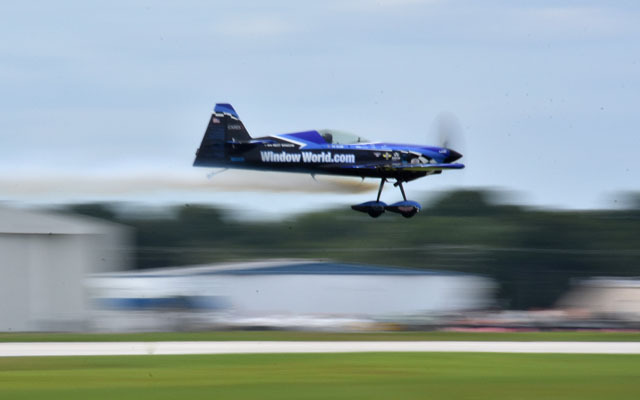 Most, if not all, of the General Aviation and Experimental manufacturers were there, showing off their latest products. 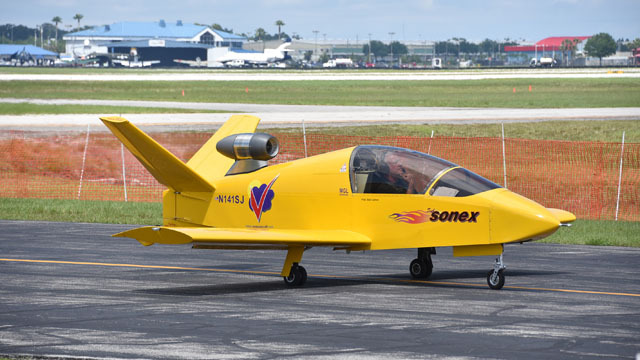 This is the new SubSonex jet from Sonex, which gave flying demonstrations a few days. 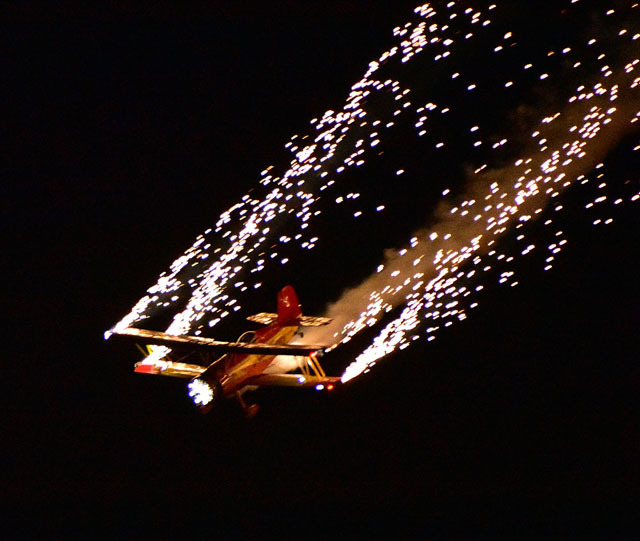 You could buy rides in a helicopter, or a biplane, or Ford Tri-Motor, or a B-17 bomber. 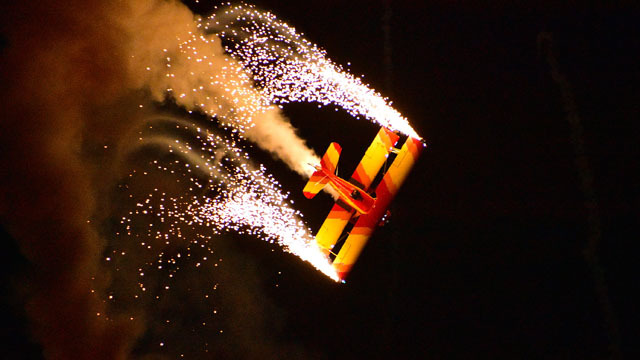 Paradise City, on the south end of the fly-in, is reserved for ultralights and light sport aircraft. 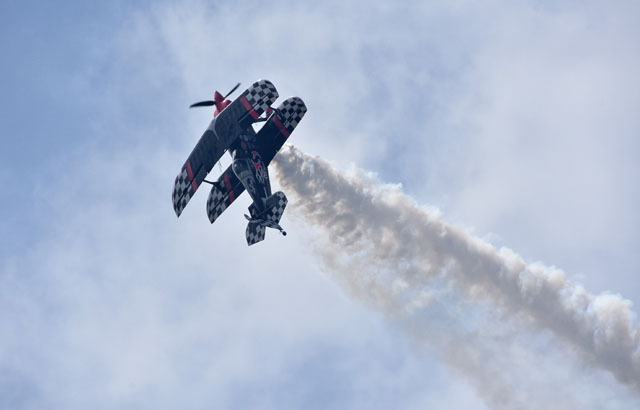 They fly off a grass strip all day, demonstrating the latest in kits and light sports. This is an Apollo gyroplane. 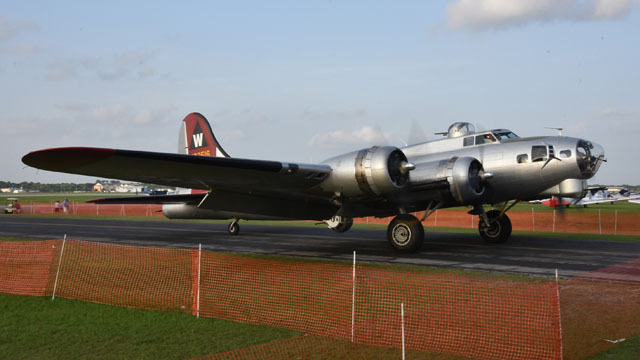 Many people flew in, and the more interesting airplanes were parked in exhibition areas for classics and vintage craft, arranged by brand or age. 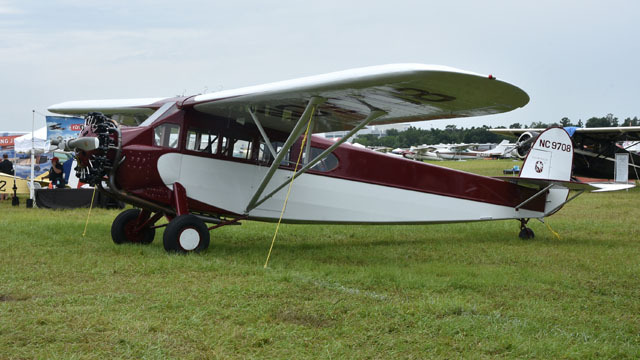 This is a very rare Fairchild 71. 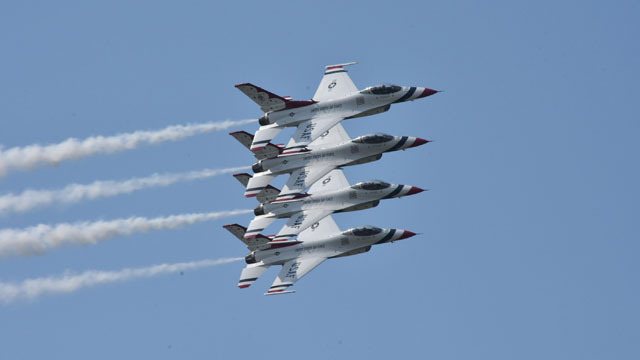 Every day there’s an airshow from 2:00 to 5:30. 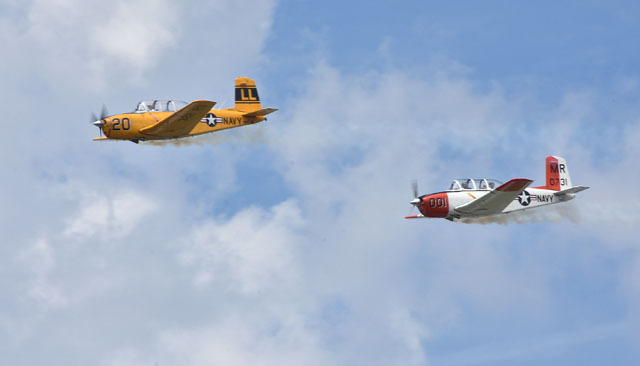 The show often starts with warbird fly-by’s. 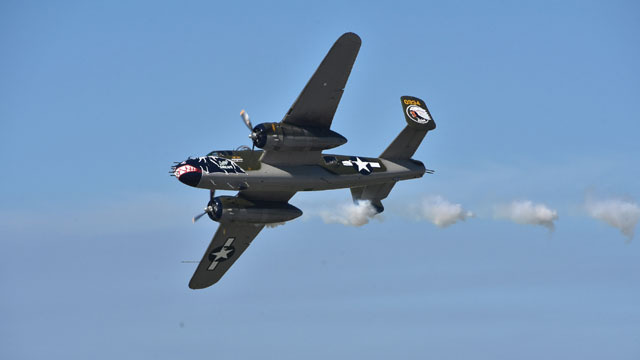 This is a B-25 Mitchell bomber. 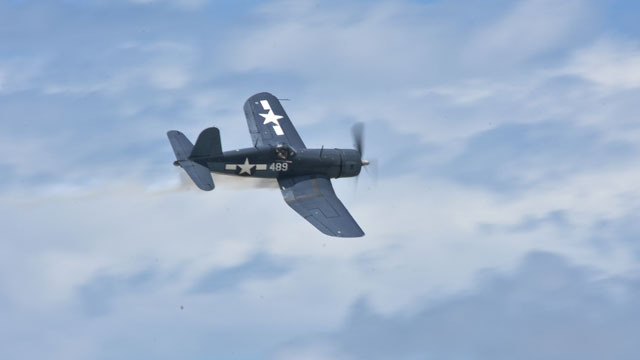 An F4U Corsair – remember “Baa Baa Black Sheep”? 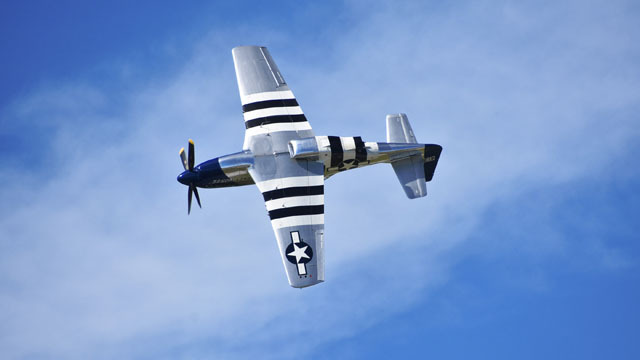 A P-51 Mustang – Lee Lauderback’s “Crazy Horse 2”. 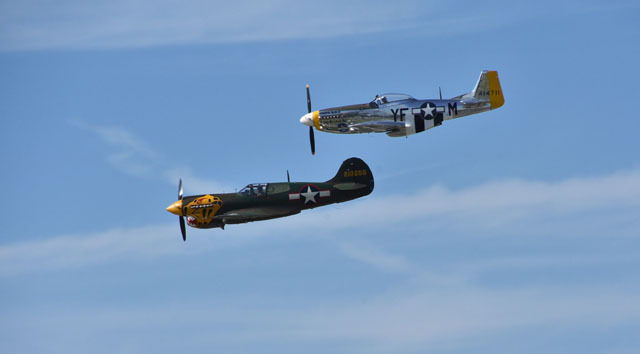 Another P-51 and a P-40 Warhawk. 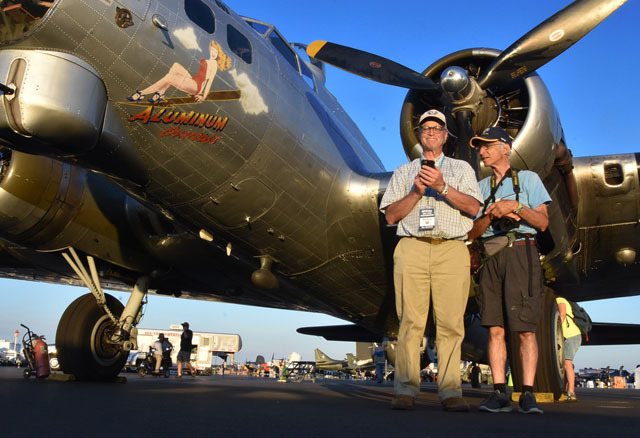 The Warbirds class is not just WWII airplanes. 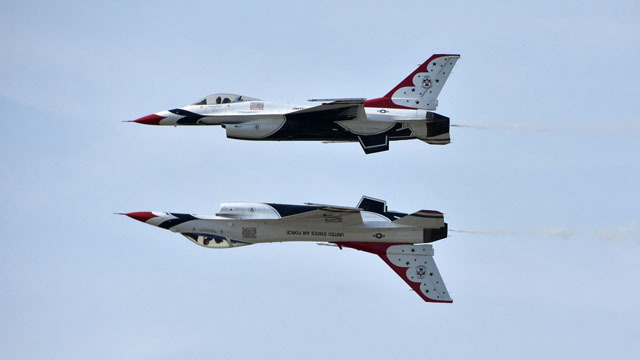 Jet aircraft are appearing at shows, as well. 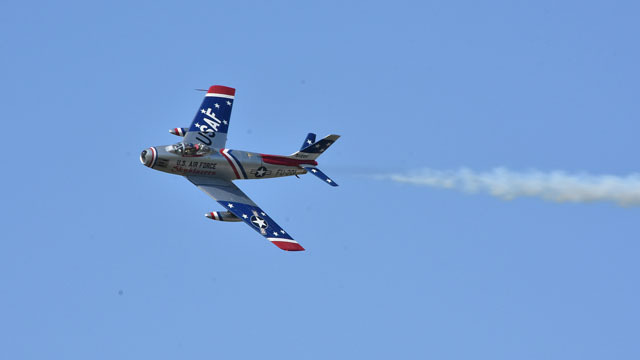 This is an F-86 Saber, Korean War vintage, flown by Doug Matthews. 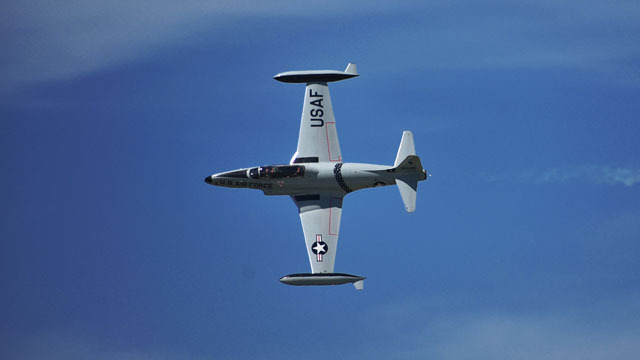 A T-33 jet, the trainer variant of the F-80 Shooting Star, flown by Greg Colyer. 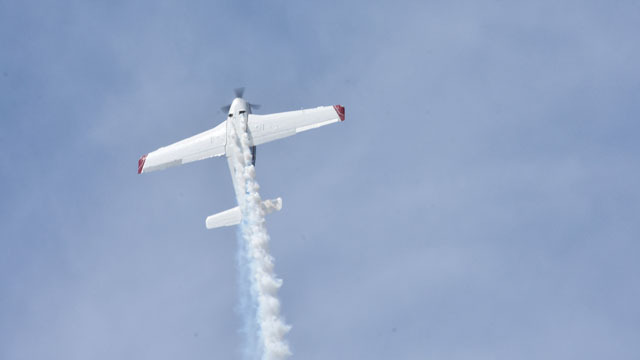 Jim Peitz performed his routine in a Beechcraft Bonanza. 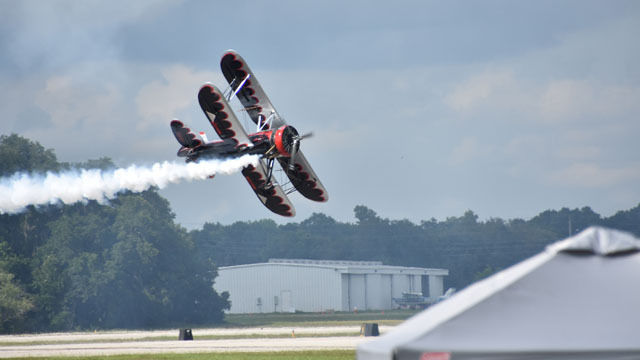 Kyle Franklin’s custom Demon 1 biplane, “Dracula”. Matt Younkin in a twin-engine Beech 19. 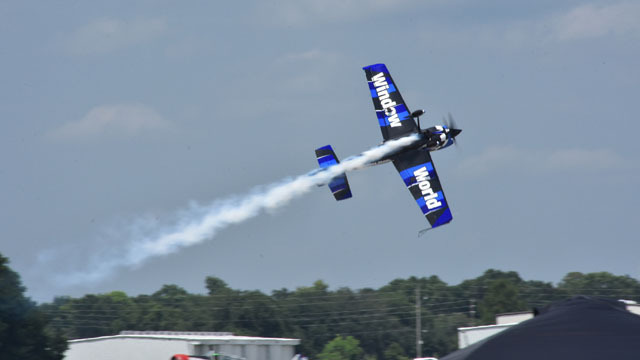 Rob Holland’s MXS airplane has so much power, he can pull up vertically, and then hang on the prop, remaining motionless. 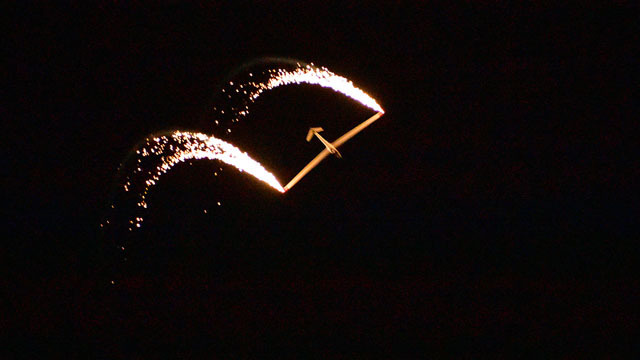 Then there are the precision flying teams. 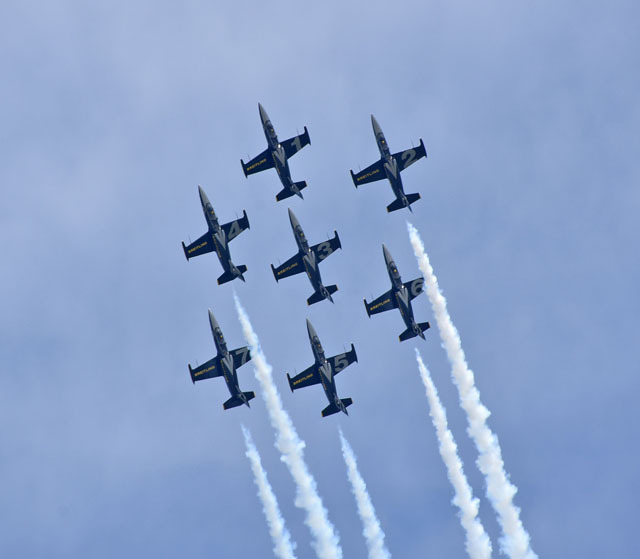 The Breitling Jet Team was at Sun’n Fun to kick off their first American tour. 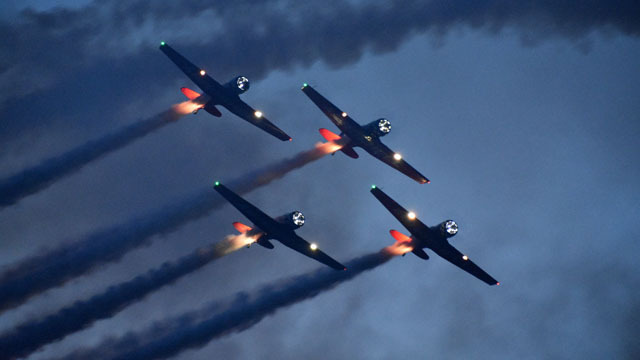 They fly L-39 Albatross jets, and they’re incredibly smooth in their routines. 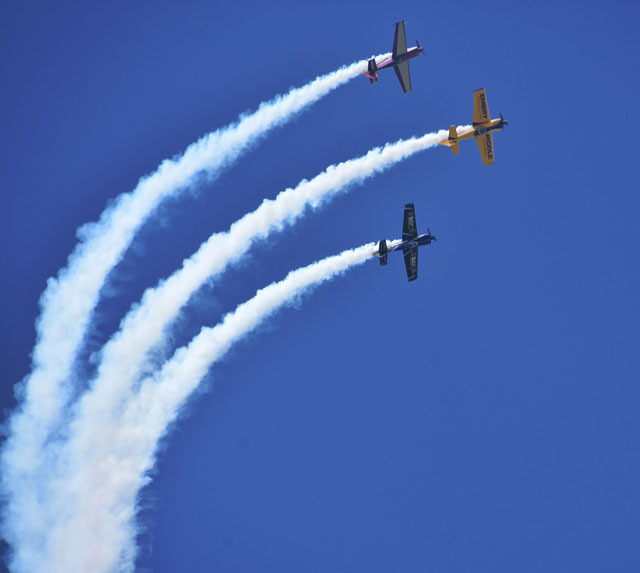 Rob Holland, Matt Chapman and Bill Stein flew formations as the 4CE team (pronounced “Fource”). That’s an MXS, CAP580 and an Edge 540. 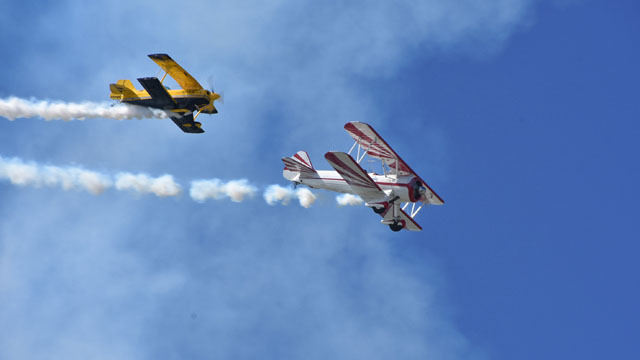 In a great display of formation aerobatics between wildly different airplanes, Gary Rower and Buck Roetman performed in a Stearman and a Pitts. 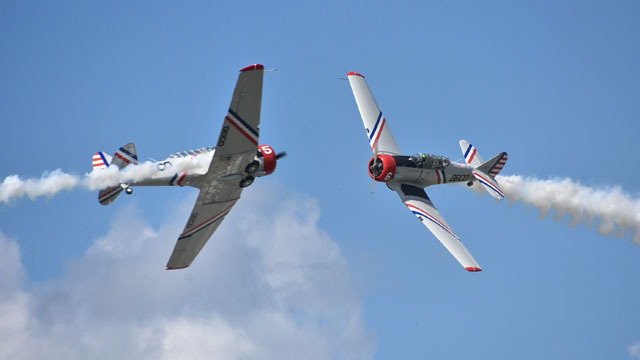 The GEICO Skytypers fly SNJ-2 Navy trainers from the Second World War – and very well, indeed. 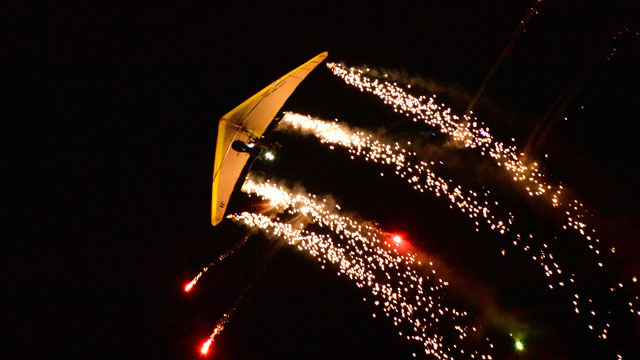 Dan Buchanan carried an incredible amount of pyrotechnics on his powered hang glider. 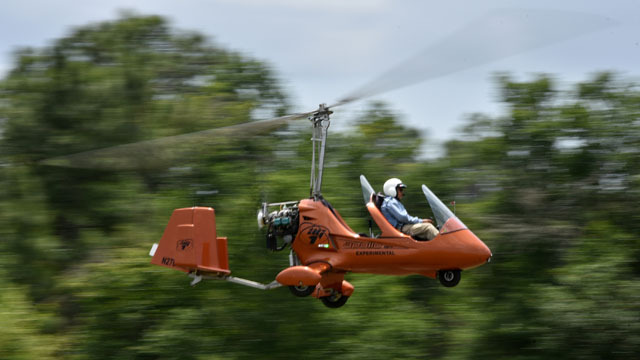 Pingback: By Skyhawk to Florida – Day 6 – Texarkana to Florida | EHFC Members Talking!